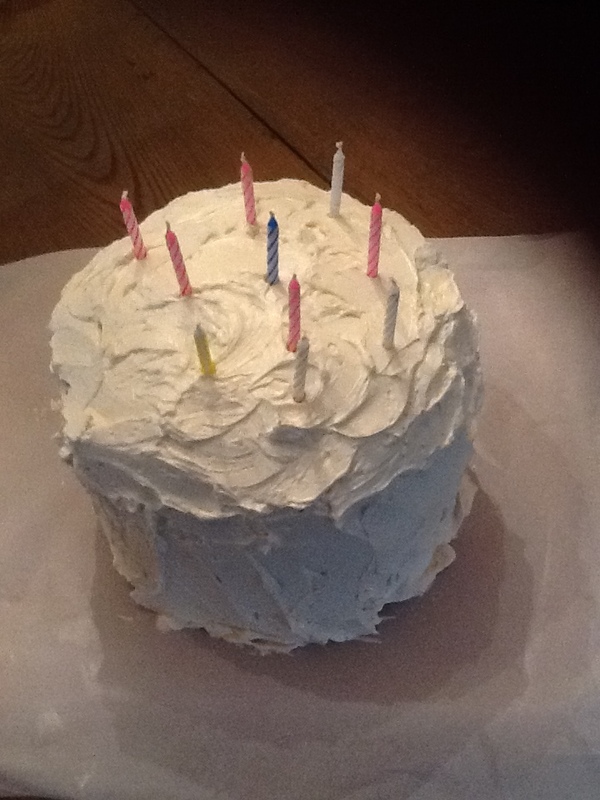 Category: Look What I Made! My mother-in-law gave us a pair of chairs. They’re Eastlake and quite lovely, but the needlepoint seats were not our style. I was at World Market yesterday and saw these 2×3’ rugs and realized they’d make a great cover. They cost about $15 and one was enough to cover both chairs. I think I’m going to buy some more to make throw pillows. Just remember to cut them as little as possible—they fall apart easily. I stay-stitched along the edges before I cut it. I think I’ll make some big throw pillows and not cut those at all. I love the texture and colors, and the fact that they’re cheap. I picked this up for about $40 at Goodwill. It was in pretty bad shape, but I needed something with deep drawers to hold serving pieces as well as board games. I think it turned out nice. It’s Annie Sloan Napoleon Blue with a black overglaze and some distressing. Kell got an awesome toy kitchen for Christmas and a shopping cart (Got the deal of a lifetime y’all at an online yard sale site. Toy kitchens are expensive, but you can usually score one at a yard sale. (I belong to several sites on Facebook for buying and selling stuff locally. I sold all of Kell’s baby stuff on one.) If all the groceries are gone, you can get those on Amazon and they’re not crazy expensive. Fortunately, the one I got still had the pots, pans, and fruits and veggies. I went to the dollar store and got him some more bowls and measuring spoons). I checked Pinterest and found some really easy directions and we were off to the races. I made the red one first, then Kell pointed out that we needed a green one too since we shop at both Target and Publix. I just used some scrap felt I had, if you’re buying, an 1/8 of a yard or a fat quarter is plenty, but check your scraps first. I think these would be really cute made with mismatched fabrics for a scrappy look, and I’m thinking of something I can put in them for party favors, since they’re so easy and cheap to make. Kids love little bags to tote their stuff around in, so even if they don’t have a kitchen they could use it for matchbox cars or little dolls. They’re about 5” wide by 7” tall, so just the right size for little hands. I prefer wool felt, which can be pricey, but it looks nicer and holds up better. Obviously, any felt or heavy fabric would work. 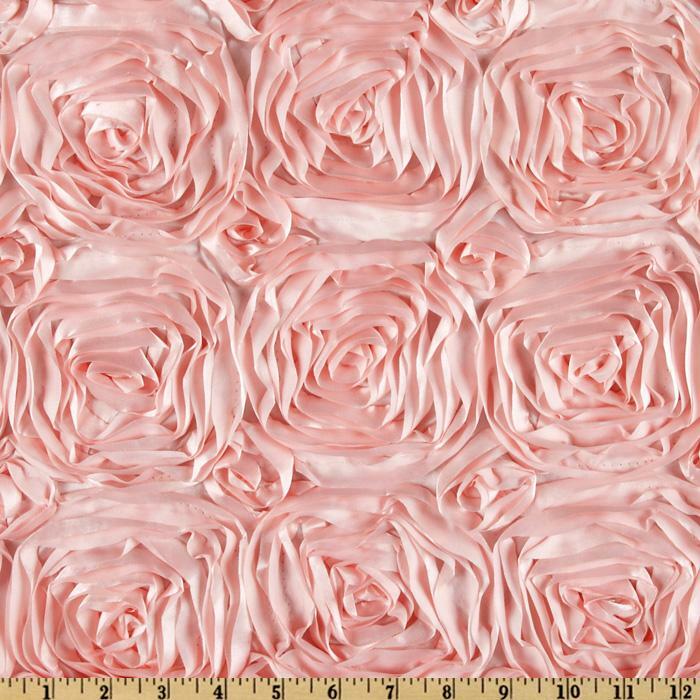 I think felt is cool too because you don’t have to hem it, but if I’d used canvas or denim I would’ve used my pinking shears to keep the edges from fraying. Fray check would work too, but I’m not sure about the chemicals in it, and I know from experience that pretty much anything will wind up in a kid’s mouth. It probably took me fifteen minutes tops, and they’re so cute! Wish I had some type of printer to put logos on them, but maybe I’ll figure that out later. …You spend WAY too much time on Erica Bunker’s blog? Erica loves herself an exposed zipper, and now I do too. My mama, who spent forever teaching me how to insert an invisible zipper, would be horrified. 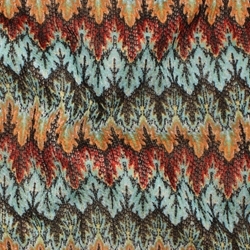 I loved this fabric when I saw the cute little top Erica made on her blog. But I really need some summer skirts. (Yeah I know in the rest of the universe it’s almost fall, but here in Georgia summer lasts for nine months more or less. Anyway, I made a simple little A-line skirt, and I wanted it to be a bit more edgy, so I did the exposed zipper. 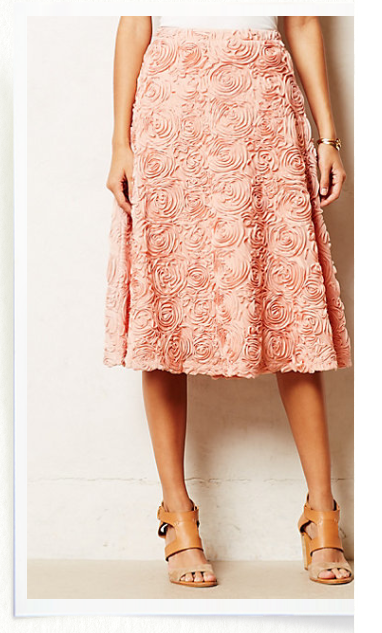 Then I saw this skirt at Anthropologie, and loved the way the zipper is all fancy. (I probably would’ve bought the skirt, but do you see how short that thing is? I’m a little long in the tooth to wear a skirt that short, thought I might copy it at some point.) 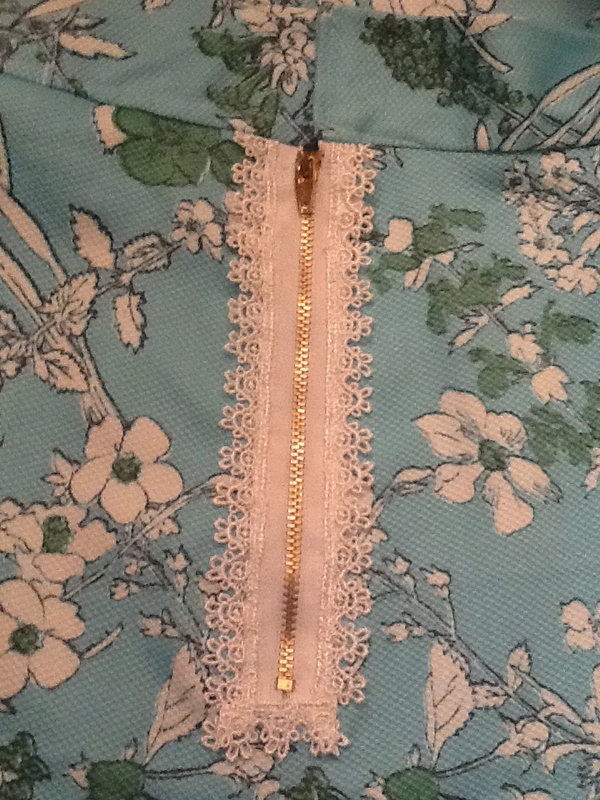 They sell those fancy zipper at Joann, but I’d already bought this zipper, and I have a ton of scrap lace and such so I just added it. I really like it a lot. It’s funny, I’ve never been much of a fashion sewist, but with my time so limited these days I like being able to finish a project in a weekend. And having something I can wear is an added bonus. I’ll take pictures when I finally wear the skirt, but my iron died last night and I need to give it a good pressing first.